"Family is more than blood. It's the people you want to be with." The Arizona grandmother who accidentally invited a teen to her Thanksgiving dinner -- thinking it was her grandson -- celebrated the holiday with that same teen again this year, for the third year in a row. 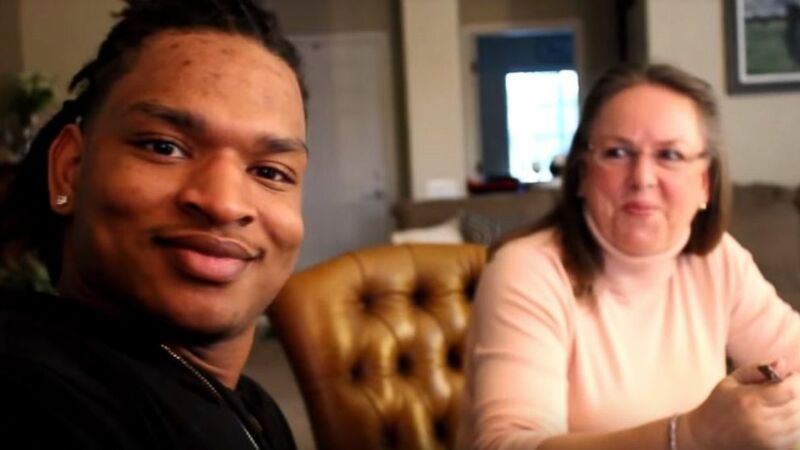 The sweet holiday tradition began in 2016 when Wanda Dench, now 61, sent Jamal Hinton, now 19, a text asking if he and his girlfriend were coming to Thanksgiving dinner this year. (Courtesy Jamal Hinton) Jamal Hinton and his girlfriend enjoyed a Thanksgiving meal with Wanda Dench for the third year in a row after an accidental text exchange brought them together three years ago. "Let me know if you are coming," the text to Hinton read. "Hope to see you all." Panama City, Florida, hosted a Thanksgiving dinner for the whole town yesterday. Hinton responded by asking for a photo to confirm if it was his own grandmother behind the text. The picture came in of a woman with blonde hair and glasses -- not Hinton's grandma. "You not my grandma," Hinton wrote in the text exchange, with a laughing emoji. "Can I still get a plate tho?" When Dench responded with an "Of course you can," Hinton showed up, and the strangers quickly became fast friends, spending their third holiday together this year. This year, Hinton posted a video on YouTube, documenting his very special holiday dinner. 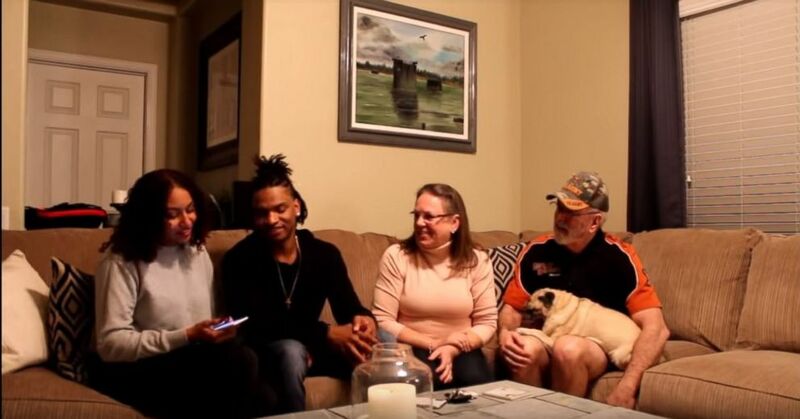 “Gaining a new grandma, I thought maybe I’d gain one getting married, but as a friend, it’s great,” he told local CBS affiliate KPHO-TV. In the video posted on YouTube of their dinner, Dench said "strangers were not strangers to me." "I grew up in the military my dad was in the Navy and my husband ... was in the Army and we moved around a lot so I was always going to new places," she said. "And so strangers were not strangers to me." "Family is more than blood," she added. "It's the people you want to be with."